Platforms: Windows/Mac, PS4, Xbox One, IOS, and Android. 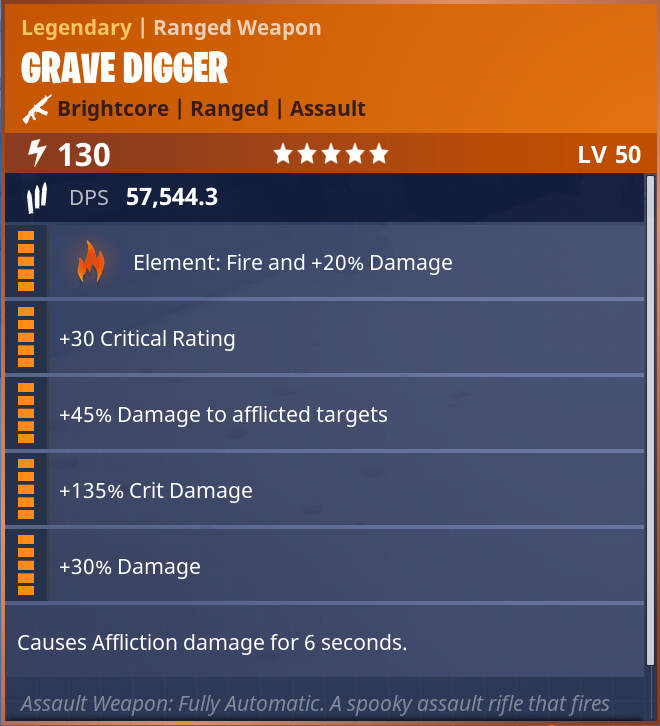 We deliver Grave Digger - 5 Stars MAXED within 15 minutes on all Fortnite platforms: Windows/Mac, PS4, Xbox One, IOS, Android. Assault Rifle‎: Fully Automatic. A spooky assault rifle that fires medium ammo, gaining damage and impact at the cost of accuracy and fire rate.